James Petzke is an online marketer by trade and hunter by passion. James was selling binoculars online when it dawned on him that he would rather start his own business and sell his own higher-quality binoculars. James and his fellow founder, Braydon Lee, officially started Upland Optics in 2015 with the goal of producing the highest quality optical products anywhere, made for hunters by hunters. Both James and Braydon are passionate outdoorsmen and they use that passion to drive their business daily. Most Upland Optic products are sold direct to consumer so costs stay as low as possible and they’re better able to control quality. Their amazing Amazon reviews and exponential growth speak to the wisdom behind this strategy. In 2016, James and Braydon ordered 100 binoculars and sold out within a month. After zeroing in on their inventory needs for 2017, they further developed their diverse product line and haven’t slowed down since. Their most popular product is the Perception HD 10x42mm Hunting Binoculars. Their fastest growing product is the Perception 1000 Laser Rangefinder. Upland Optics is based out of Boise, but you’re more likely to find James and Braydon out enjoying Idaho’s ample public lands. Growing up in Hailey, Idaho, the Sawtooth Mountains are a favorite of James’ but they’ll both take any public lands as far away from people and roads as possible. 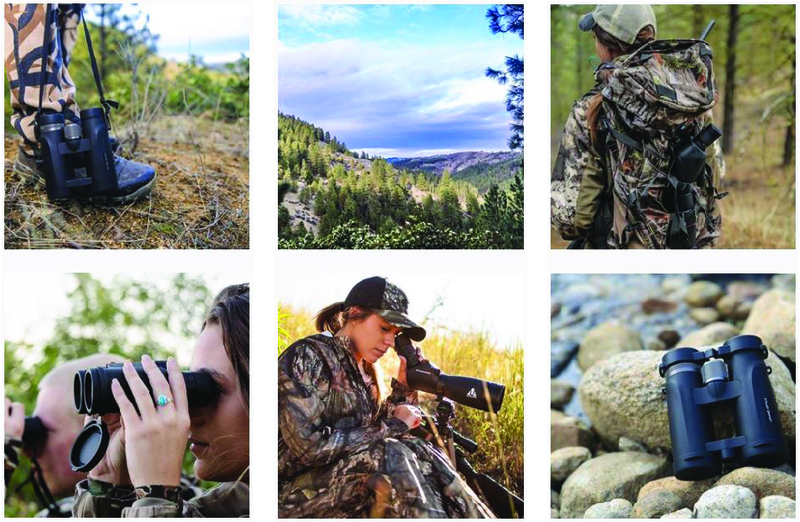 Upland Optics honors the tradition of hunting and we’re proud to say they’re Tested in Idaho.